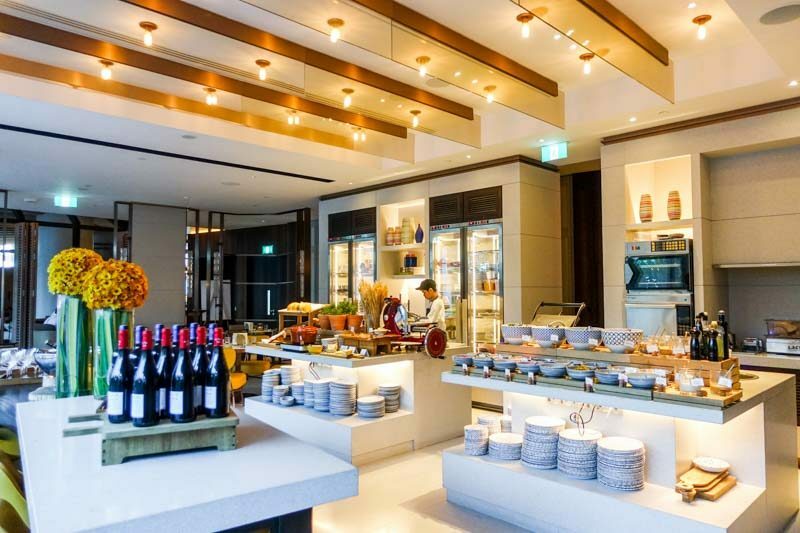 Duo Galleria is the latest addition to the Bugis district; a striking pair of skyscrapers, distinctly standing out with its metallic, honeycomb design. 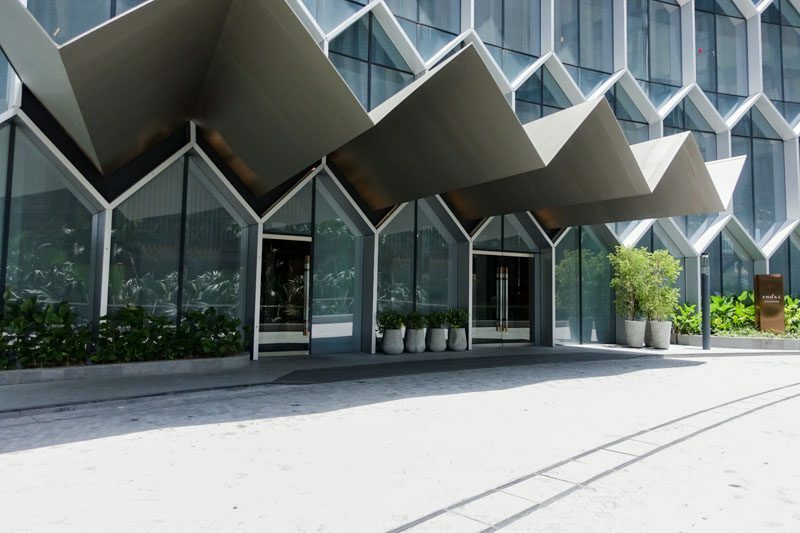 In addition to office spaces and residential apartments, it is also home to Andaz Singapore, the first Andaz hotel by the Hyatt Hotels Corporation to open in Southeast Asia. 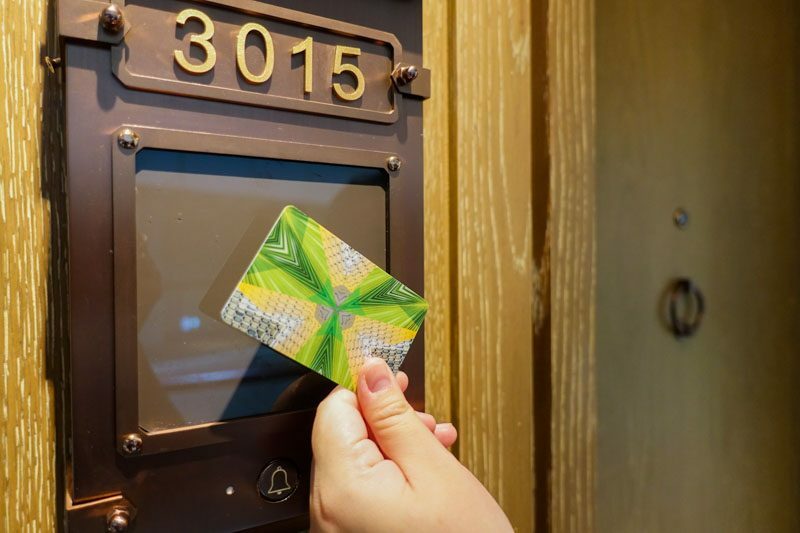 The hotel is easily accessible from the MRT – aided by escalators and elevators, so you won’t have to worry about lugging your suitcases up any staircases! Grateful for some respite from the sweltering heat outside, I was excited to head on up to the hotel for my anticipated one-night stay. 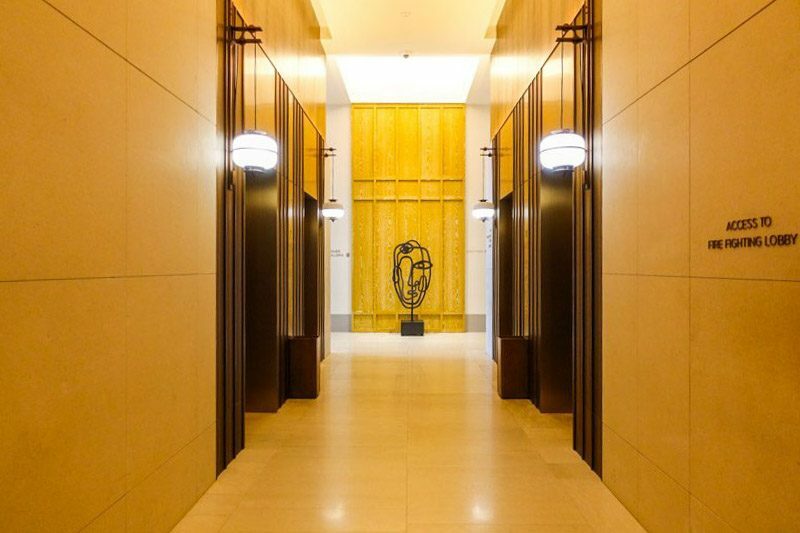 In the lobby, I was directed to head to the 25th floor, and was immediately greeted by front desk staff who were more than happy to help me check-in, and made sure that my bags would be sent to my room once it was ready. I spotted the Sunroom, Andaz Singapore’s guest lounge, which is located right next to the front desk. The bright lounge was decked out in comfy sofa seats and there was also a refreshments bar where you can help yourself to complimentary artisanal teas and coffees, as well as homemade iced beverages. There were even free-flow snacks like muruku and biscotti cookies! 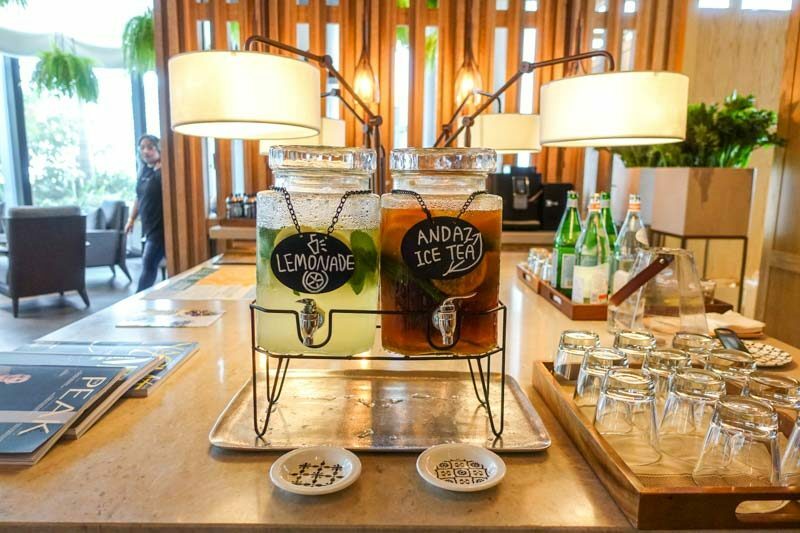 As a treat, all Andaz in-house guests can look forward to the daily Andaz Lounge Hour from 5pm – 7pm, where complimentary wines and Andaz Pale Ale will be served. And yes, that is a local brew by the RedDot Brewhouse, exclusive to Andaz Singapore. 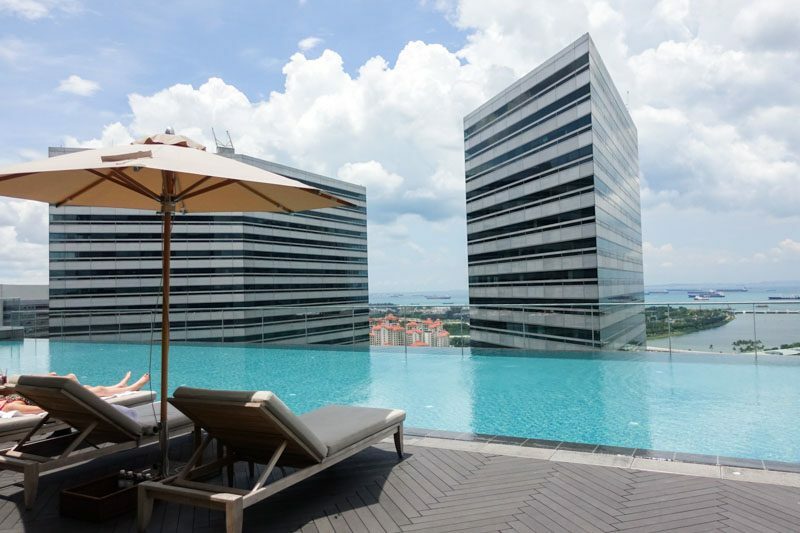 The 25th floor is also home to the outdoor infinity pool, which overlooks the Marina Barrage and offers a stunning view of the Singapore skyline while you take a dip. Pool noodles and float boards are also available for the kids. Just a note to those who want to sunbathe; optimum sunny hours are from the morning to mid-afternoon around 3pm, when the sun disappears behind the skyscrapers. Coupled with the breeze, it does get a little chilly going in and out of the pool from then onwards. 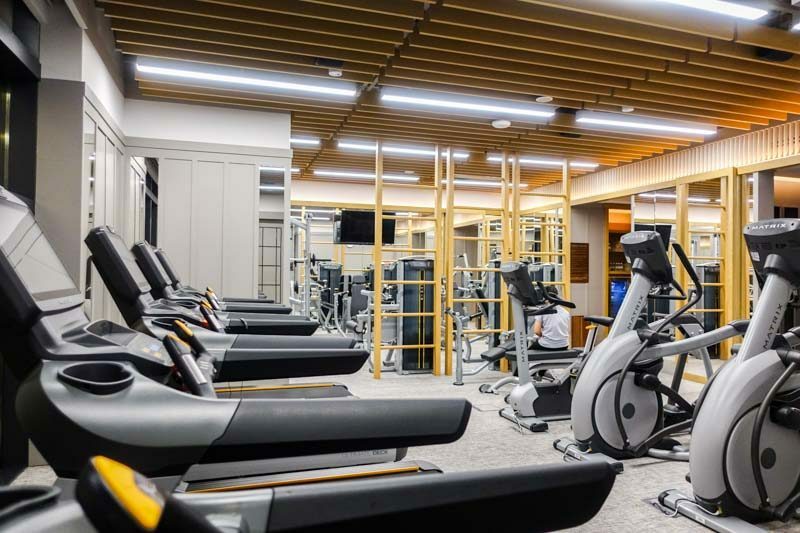 Located on the 38th floor, the 24-hour fitness centre is equipped with the latest exercise equipment, including cardio machines and free weights. Towels and bottles of iced water are also stocked up here. What’s more, the treadmills face large floor-to-ceiling windows – talk about working out with a view, right? Looking for a place to unwind for after-work drinks or a new spot to bring a date to? 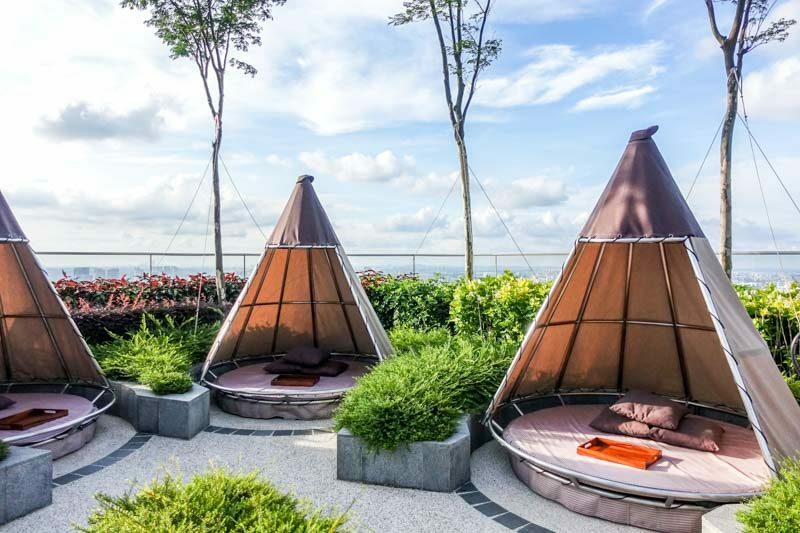 Head to Mr Stork, Andaz Singapore’s rooftop bar situated at the 39th floor, amidst the lush rooftop garden. 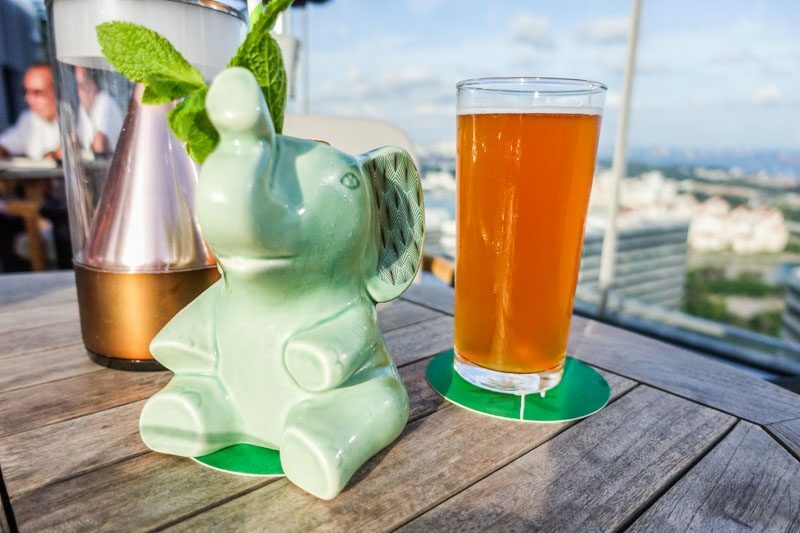 Enjoy awesome 360-degree views of the Singapore city skyline while sipping on a refreshing tipple and tasty bar bites. You can choose to take a seat at the al fresco wooden tables and chairs, or in any of their ten teepee huts, if you prefer something a little more cosy and intimate. I ordered the Ruby ($20) off the cocktail menu; a refreshing concoction of lemon, mint, vermouth and Ceylon arrack, while my dining partner ordered a pint of Andaz Pale Ale ($14). The Ruby was surprisingly well balanced and was a great drink to whet my pre-dinner appetite. It was served in an adorable ceramic elephant cup, which added to the appeal of this drink. The Andaz Pale Ale was a refreshing beer that did not taste too hoppy or bitter, making it easy to drink because of its lightness. 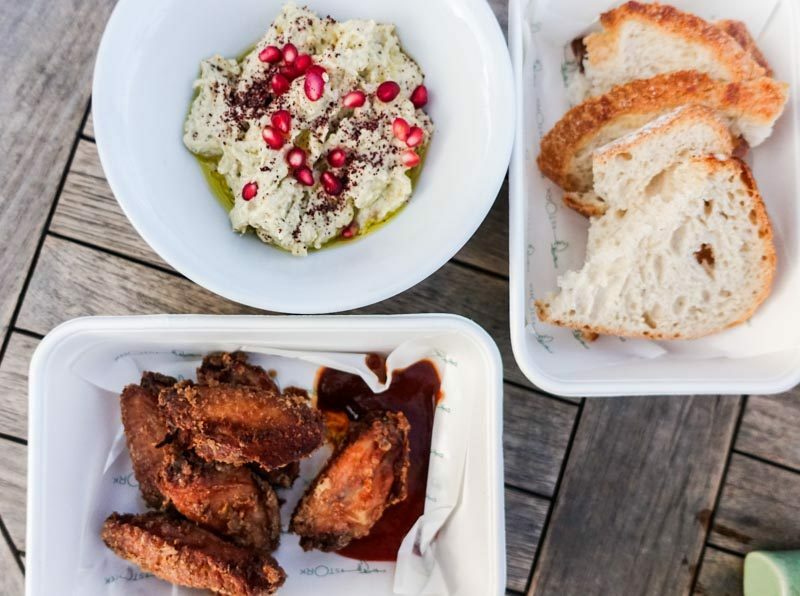 The bar bites did not disappoint as well – we got a portion of the Baba Ganoush ($14) and Crispy Chicken Wings ($14). The Baba Ganoush was impressive: grilled and mashed aubergine is dusted with sumac, pomegranate seeds and a lashing of olive oil, served with sourdough bread from Tiong Bahru Bakery. Authentically delicious, the taste was just as good as the ones that I had during my trip to Israel. A clear winner was the chicken wings. 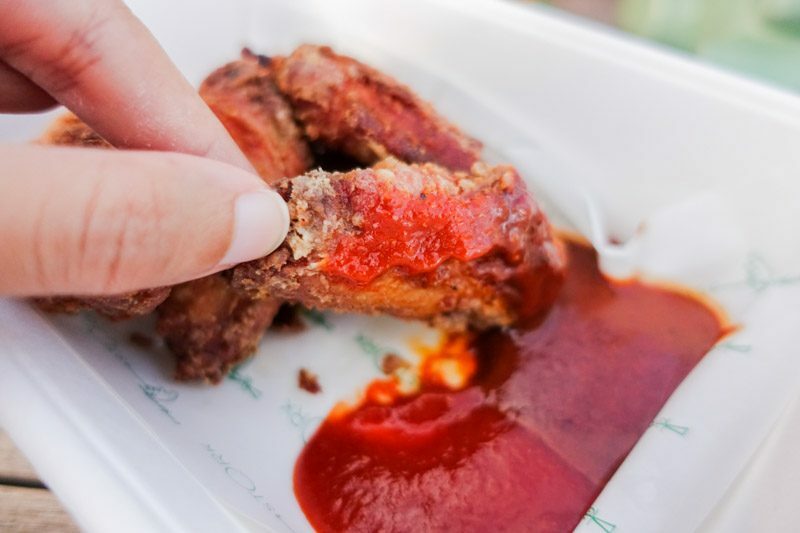 Deep fried to a gorgeous golden brown, they were served with a spicy Sriracha-based chilli sauce. Our host thought it would be a little too spicy for us to handle, but I begged to differ. I felt that it could use a little more heat! But overall, the fragrant sauce complemented the succulent wings so delightfully, and we ended up burning the tips of our fingers as we chowed down on this dish. After lounging to my heart’s content, I decided to check out my room on the 30th floor, I loved how each room’s keycard reader was made to look like one of those old school letter boxes. Even the room door had a brass knocker that added to the modern-chic-meets-vintage vibe of the hotel. The room was decked out in warm russet, beige and mustard tones, with plenty of wood detail and furnishing. The king-sized bed was spacious enough for two to sleep comfortably. My only gripe would be that the pillows were a little too soft for my liking, and lacked neck support because my head ended up sinking, even though I had stacked the pillows up! 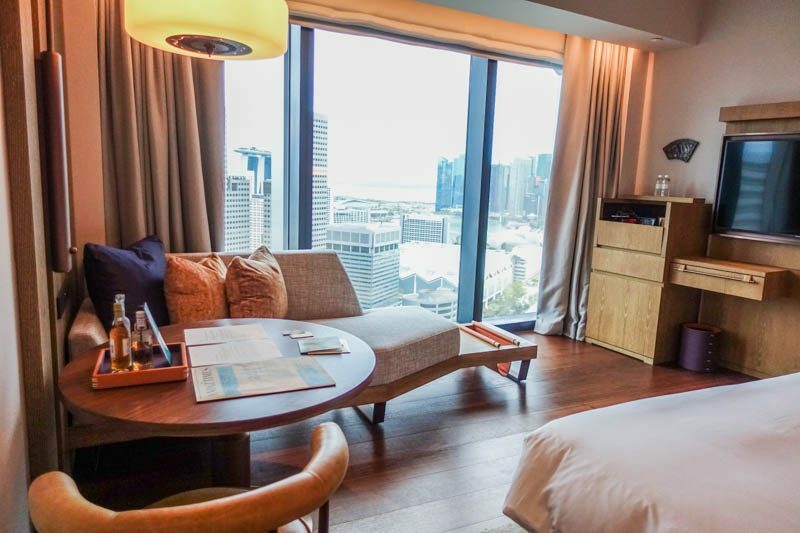 True to its name, the room came with an awesome view overlooking Suntec City, Marina Barrage and wonderful sea-nery. It looked even more spectacular at night, and was a treat to wake up to in the morning. Pity I only had one night there, because this is a view that I could definitely get used to. The bathroom was spacious, bright and had a minimalistic design, with doors leading to both the bedroom and the walk-in wardrobe/closet area. The shower area also had an additional rain shower head, but as with most hotel shower knobs, I struggled with getting the right water temperature, along with controlling the rain shower. 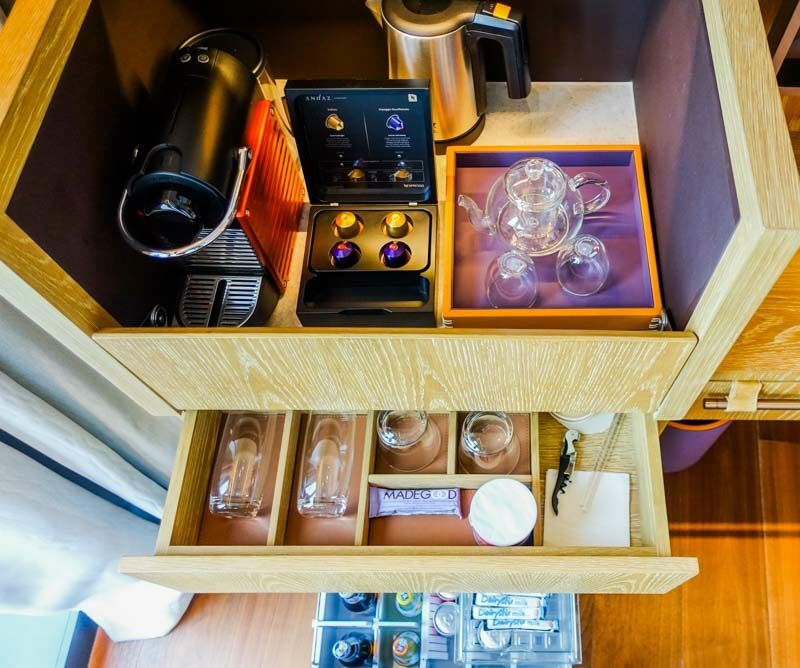 Andaz Singapore really stood out with their complimentary mini bar, stocked up with Nespresso capsules, TWG teas, nifty snacks, and a selection of juices and sodas. I especially loved snacking on the small can of chilli popcorn, enjoying a San Pellegrino juice while watching TV. After checking out the room, my dining partner and I headed over for dinner at Icehaus, one of the casual dining concepts at Alley on 25, featuring a menu comprising cold cuts, sustainable seafood, heirloom salads and locally-inspired desserts. Our dinner also included the chance to make our own salads at the Superfood Salad Lounge, located within Alley on 25 as well. We got to take our pick of locally-sourced organic veggies, including choice picks from Andaz’s farm in Cameron Highlands, Malaysia. We ordered the Boston Lobster Soft Rolls ($35) which featured fresh lobster, mixed with avocado, tomatoes and chipotle mayo, sandwiched between toasty buttered rolls. I loved the texture of the lobster filling along with the bread, but felt that the sauce tasted a little too much like generic thousand island dressing, which turned me off after a couple of bites. The Italian Burrata ($22) was one of my favourite dishes of the evening. It was a simple salad of lightly-seasoned arugula, a couple of sun-dried tomatoes and a ball of creamy burrata cheese. 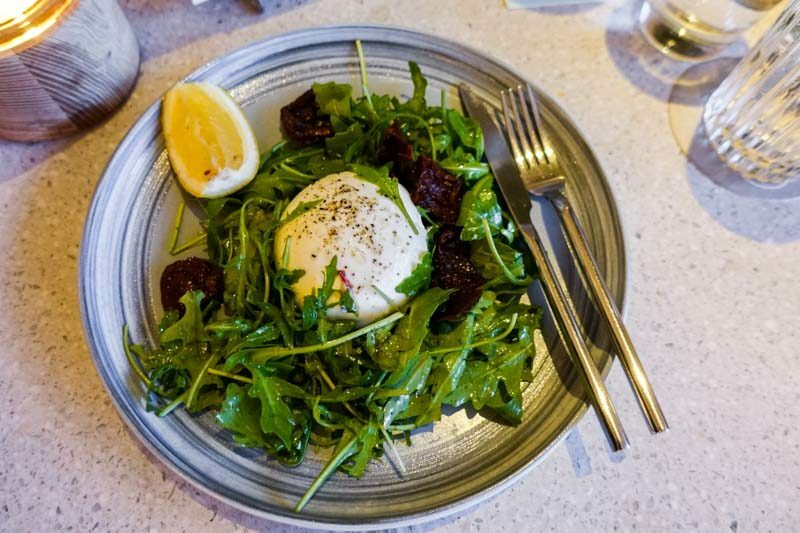 The richness of the burrata was balanced out by the peppery flavours of the arugula leaves, and a spritz of lemon juice really helped to perk up the dish. I would definitely come back to Icehaus for this! I’m always on the search for good tartare, so when I saw the Beef Tartare ($25) on the menu, I knew I had to order it. 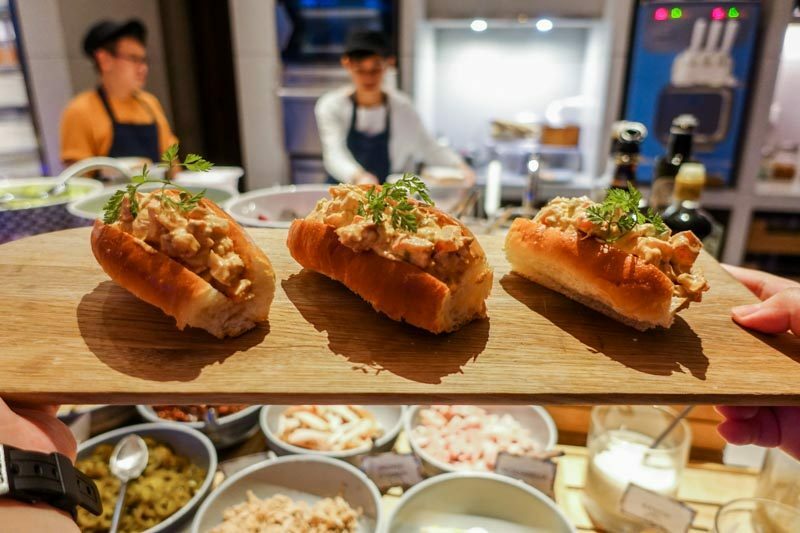 There was no doubt about how fresh the beef was, and it was tossed together with finely chopped onions, in a sauce that was similar to that of the Boston lobster rolls. 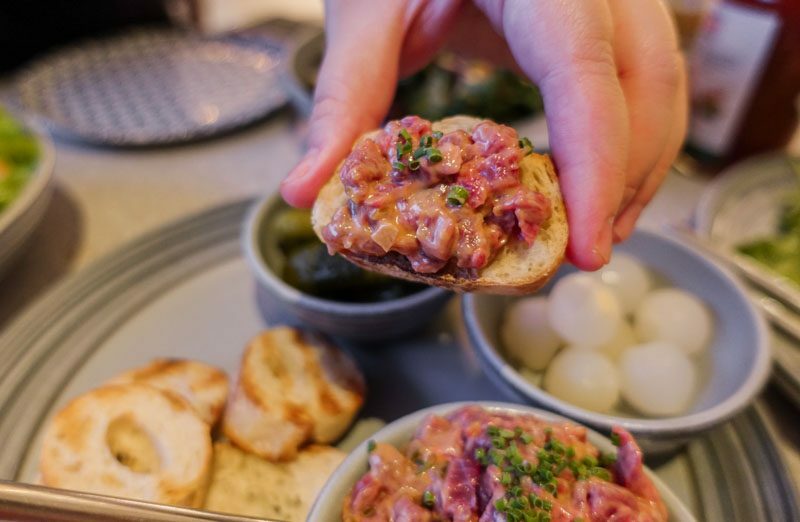 Served with cornichorns and pickled silverskin onions, it wasn’t the best beef tartare I’ve tried, but was still pretty good for sure. 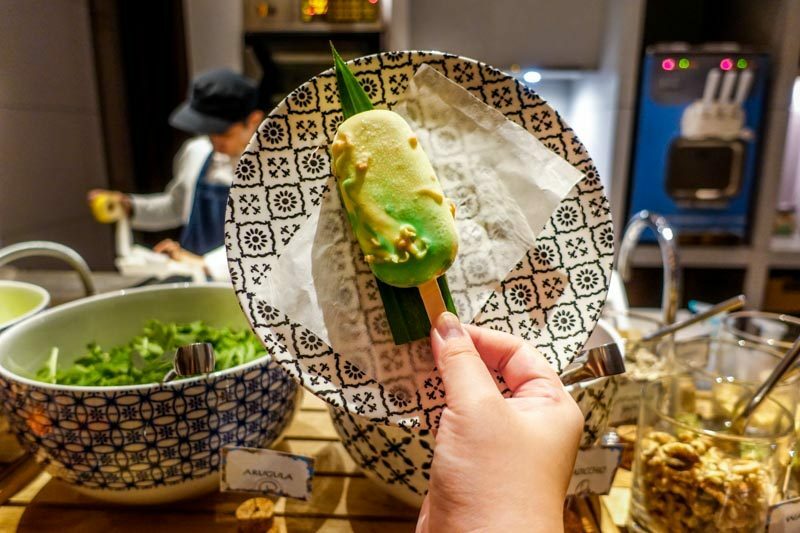 Made in collaboration with Neh Neh Pop by local chef Bjorn Shen, The Andaz Chendol Pop ($10) is made of decadent palm sugar-coconut ice cream and red bean-caramel filled popsicle, coated with pandan-flavoured white chocolate. A delightful medley of sweet and savoury flavours, this dessert is exactly what you need to finish off your meal. As good as hotel breakfasts get, our breakfast at Alley on 25 the next morning proved to be worth waking up early for. There were a variety of cuisines to choose from, and we could walk through the different dining concepts to explore our breakfast options. 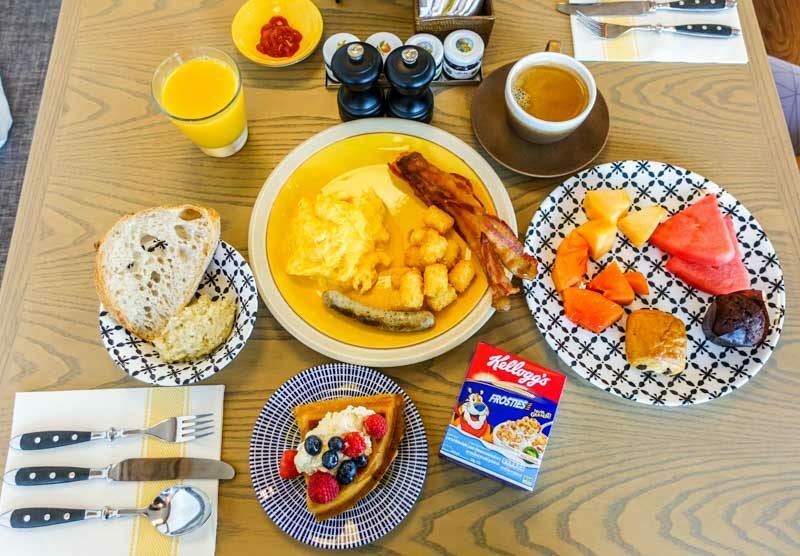 From dim sum to good ol’ bacon and eggs, you’ll definitely find something that will fill you up for the most important meal of the day. I was particularly impressed by the fresh waffles that you can get at the breakfast bar located at Icehaus. They were fluffy and light, pairing well with a dollop of fresh yogurt and topped off with fresh berries. 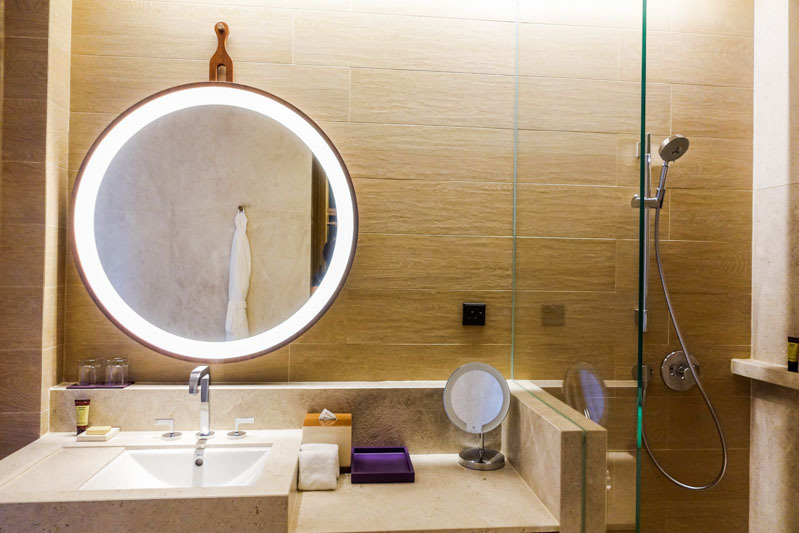 If you’re looking for an accessible and luxurious hotel the next time you visit Singapore, look no further than Andaz Singapore. Its ideal location and modern-meets-old-school charm definitely put it at the top of my recommendations for any traveller. 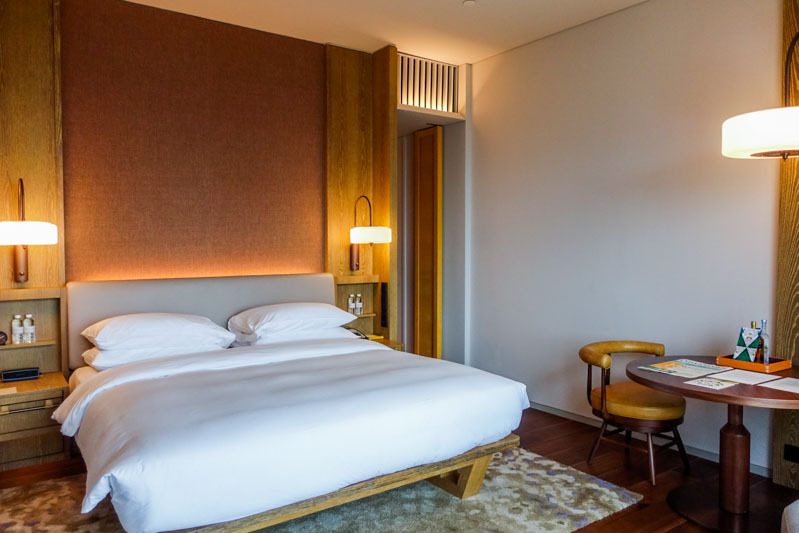 For locals seeking a good place for a staycation, Andaz Singapore offers the best luxe vacation lifestyle escape for some good R&R, right in the midst of the bustling city. And how Instagrammable are those Mr Stork teepees, amirite?